CRM vendor, SugarCRM, has acquired natural language processing (NLP) platform, Contastic, for an undisclosed sum. The deal is SugarCRM’s third acquisition in the past two years, and follows its purchase of personal assistant technologies vendor, Stitch, last March, and business process management technology from ProcessMaker in 2014. SugarCRM said all of these investments were about deepening connections across the entire customer journey. Contastic’s platform is designed to automatically recommend the best content for individuals to send to their contacts. It does this by applying NLP to mine topics of interest from conversations in email and CRM. These capabilities will be integrated into SugarCRM’s platform through future releases. As part of the deal, Contastic CEO, Cy Khormaee, has joined SugarCRM as director of product management for predictive analytics. NetEngine, a Brisbane-based startup, has created a new platform giving brand managers, content authors and marketers the ability to use pre-approved branded design templates to update copy and produce marketing materials without a graphic designer. The Outfit brand management and marketing production tool has been designed for enterprise users and aims to accelerate the production and repurposing of marketing materials. The new offering has already been picked up by IT vendor, Red Hat, across multiple regions, as well as two Australian universities. To use it, designers set up a variety of pre-made templates across various file formats, such as billboards and business cards. Then others in the organisation can customise these using their own text and graphics as well as export marketing materials. “The big difference is that Outfit uses constraint-based templates, so a brand manager can rest easy knowing that whatever design changes are being made, are done so within agreed guidelines to protect the integrity of the brand,” explained NetEngine’s founder, Bruce Stonge. UK-based email marketing automation vendor, dotmailer, has opened its first office in Australia to bring its technology offering to B2C and B2B organisations in the mid-market. The company has relocated 10-year veteran and Australian employee, Rohan Lock, to Melbourne as regional director for Asia-Pacific. His initial focus is on building a local technical support team as well as an A/NZ partner network. 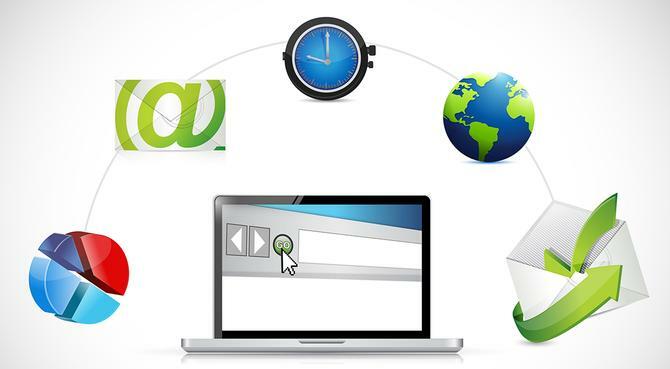 Dotmailer has already confirmed nine local integration and agency partners, including Engage Digital, Acid Green and Balance Internet. Dotmailer was founded in 1999 as a Web design and development agency, before building out a range of technology solutions such as content management, ecommerce and email marketing capabilities. Over recent years, the company has chosen to focus solely on its email marketing platform, and has built strong integration links into other established ecommerce, CRM and marketing platforms. These include ecommerce vendor, Magento, as its first and only Platinum Technology Partner, as well as integration with Salesforce CRM and Microsoft Dynamics. Company founder, Tink Taylor, described dotmailer’s offering as “NASA technology with a Fisher Price interface”. While a number of enterprise-grade Marketing Cloud providers, such as Adobe, Oracle and IBM, build out complete stacks for marketers, he saw an opportunity for a best-of-breed offering that was more intuitive to use and could integrate with other technologies already being used by marketing teams. You can read our exclusive interview with Taylor here. DotCMS has debuted version 3.5 of its Web experience management offering on limited beta release, promising several new features for digital marketers. On the list of new capabilities is dotCMS Rules, an engine which allows business users to drive both passive and active personalisation as well as more easily deliver targeted content. Passive targeting occurs without specific action from a visitor but as they browse pages or content. The new beta release will look at how those contents or pages have been tags and store this information in the visitor’s session as ‘accrued tags’. These can then be used to tailor content dynamically. There are also new integrated concepts such as personas, conditions, actions, visitors, weighted tags and content scoring, all aimed at improving experiences for digital visitors. Version 3.5 also has a new rule builder for setting up targeted content or actions without having to right additional code. Social media site, Pinterest, has added new interest segments as well as first-party data matching into its platform. According to a report on AdExchanger, Pinterest is looking to expand the categories for interest targeting from 30 to 420 across its 100 million monthly active users. The first-party data matching, meanwhile, follows in the footsteps of Google, which introduced CRM matching last year, as well as Facebook/Instagram and Twitter. Brands interested in the first-party data solution will initially need to go through Pinterest’s Marketing Develop Partners program, but there are plans for this to become self-service later this year. Read the full report from AdExchanger here. Global technology consulting and cloud integration provider, iTalent Corporation, has brought out a new content translator application to integrate with campaign management and email marketing platform, Oracle Eloqua. The new Lingotek Translation Management System allows marketers to rapidly translate content with Oracle Marketing Cloud. The application also has online collaborative translation capabilities to offer an easy-to-use workflow to streamline translation workflow. The application is now available in the Oracle Cloud Marketplace. Social intelligence analytics vendor, Blab, has released its Blab: Predicts platform as well as Conversation-Based Data Segments, which it claims is an industry first. Conversation-Based Data Segments enables brands, agencies and publishers to use predictive data to drive campaign engagement and is aimed at helping to reduce inefficient spent on programmatic digital media and paid social ad buys. The offering does this by targeting brand messaging directly into content topics being discussed in real-time, as opposed to standalone and traditional cookie-based targeting. The first partner to come on-board is Horizon Media, which will utilise the new data segments as part of its HX programmatic solution. The BLAB:Predicts platform curates segments across search, display, video, mobile, native and social and refreshes them dynamically. The offering is integrated with several demand-side platforms including Horizon Media’s HX, The Trade Desk and RUN, as well as data management platforms from Grapshot, Peer39 and Lotame. During its private beta, the company claimed Fortune 1000 companies using the BLAB:Predicts saw engagement rates that exceeded what many of the best media teams in the world had provided, while reducing campaign costs by up to 50 per cent and improving overall campaign performance by up to 35 per cent. Location-based technology provider, Blismedia, has recruited nine new staff to its Australia and New Zealand operation following rapid customer growth. The company said the new hires will reinforce Blis’ position in the region as a leading location-based technology company for media agencies and brands. Among the new faces are former InMobi executive, Rob Marshall, who joins as senior sales manager, and Leah Stalker from SBS, who also joins the sales team. “After a pivotal year of growth across APAC, which included the launch of new offices in Hong Kong and New Zealand, we are expanding our ANZ team to meet the growing demand for our location products,” said Blismedia VP for Asia-Pacific, Rupert Pay. Another vendor expanding its regional footprint is enterprise insight software provider, Qualtrics, which officially launched its Asia-Pacific headquarters in Sydney this week. The company’s technology allows organisations to capture, analyse and then act on customer, market and employee insights via a centralised platform. It claims to have 400 Australian customers including banks, product brands and government agencies. Qualtrics is recognised globally as a technology ‘unicorn’, or company that has soared to a $1 billion valuation or higher. The opening ceremony was marked by a presentation by Minister for Trade, Tourism and Major Events, Stuart Ayres. Customer support technology provider, Interactive Intelligence Group, has launched its PureCloud Engage for Salesforce on the Salesforce AppExchange. The contact centre solution is delivered via the vendor’s PureCloud platform, running on top of Amazon Web Services. Key features include rules-driven screen popups based on user data such as caller ID, dialled number, case number and email address, as well as embedded interaction management controls for tracking and managing queue calls, Web chats and callbacks from within the Salesforce interface. There are also real-time status setting and reporting capabilities.